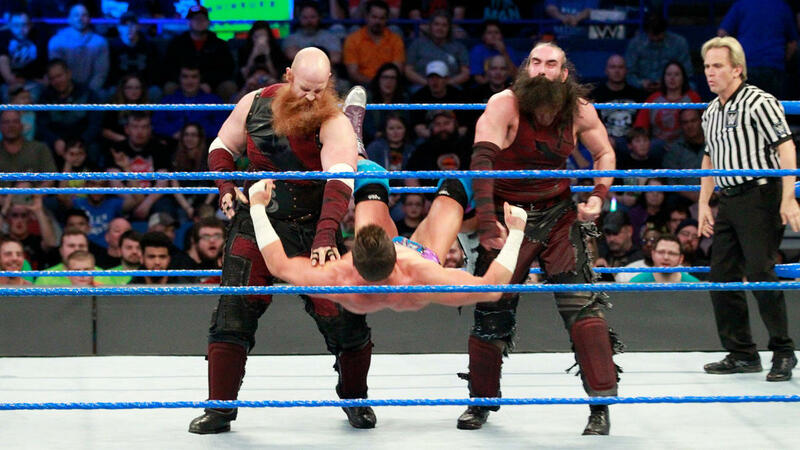 This coming Sunday, WWE fans will get to witness The Bludgeon Brothers in action as part of the Clash of Champions 2018 match card. The destructive duo recently debuted on SmackDown Live over the past several weeks and have been wreaking havoc on mostly jobber teams that have been in their way. At Sunday’s event, they’ve been challenged to a match by one of the actual teams in the tag team division for the blue brand. According to ProWrestling.net‘s latest SmackDown results report, a backstage segment on Tuesday’s show featured Tyler Breeze and Fandango in a brand new “Fashion Police” episode. In the segment, they were paying tribute at a funeral to their good friends The Ascension whom they thought had been lost due to the poisonous gas in a Saw movie-style trap on a previous SmackDown. 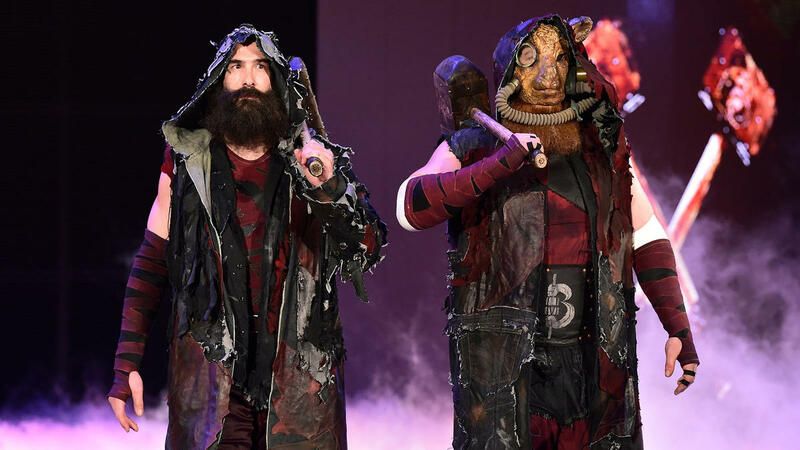 However, it was learned that The Ascension was still alive as they showed up at the memorial service to reveal The Bludgeon Brothers were behind all the attacks. Due to learning of that, Fandango told Ascension on their behalf he and Breeze would be challenging The Bludgeon Brothers to a match at Sunday’s pay-per-view. That drew a lot of surprise from Breeze as his tag team partner Fandango offered him a shaky-handed fist bump to confirm they’d be participating in Sunday’s pay-per-view. That means there will be a total of three tag team contests for Clash of Champions 2017. One of the previously booked tag team matches was Randy Orton and Shinsuke Nakamura taking on the team of Kevin Owens and Sami Zayn. There’s also the big championship match which is a Fatal 4-Way for the SmackDown tag team titles featuring The Usos defending against New Day, the team of Shelton Benjamin and Chad Gable, as well as Rusev and Aiden English. The latest tag team match should be an interesting bout, but at this point, the newly repackaged team of Harper and Rowan has been looking unstoppable. It would be surprising if Breezango is able to pick up a win over them at the latest SmackDown brand event. For weeks now, they’ve been featured in mostly “Fashion Police” episodes rather than matches as part of the tag team title picture. It would seem the “newer” of these two teams is moving closer towards the title picture just based on their win streak. Fans can watch Tyler Breeze and Fandango do their best to combat The Bludgeon Brothers at Sunday’s Clash of Champions 2017 pay-per-view. The pre-show is scheduled to begin streaming at 7 p.m. Eastern Time on various WWE social media, the WWE.com website, and WWE Network, with the main pay-per-view going live on Sunday at 8 p.m. ET via the WWE Network.